Welcome to Episode 37! This week’s conversation is with Dr. David Bowman. Dr. David Bowman serves as Executive Director for the Tarrant Baptist Association in Fort Worth, Texas. He is also a member of the Coaching4Clergy faculty and a Lead Navigator for Auxano Consulting. He leads alongside a team of Coaching4Clergy faculty members and Church Unique Certified navigators. 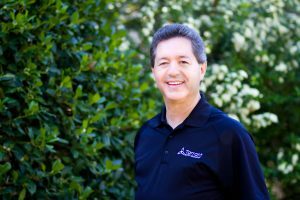 Prior to his current role, David served as a Congregational Strategist for Texas Baptists and served as pastor of Texas Baptist churches for twenty years. He is certified by the Paterson Center to facilitate LifePlan and StratOp. He is a board member and trainer for the Society for Church Consulting. He serves as an adjunct instructor for Dallas Baptist University. David helps people experience maximum expression of their life stories. Are you all going to have church again next Sunday? Are you ever going to do anything but have church again next Sunday and hope you did it better than last week? How are you really making disciples? The more you tell stories and make the text come alive, the more people receive it and remember it. People remember pictures – find a way to help them see it, feel it and hear it. Don’t be boring with God’s word. Take great care of your family! Join me next week for Episode 38, my conversation with Senior Pastor, Bevan Unrau, serving at Seabreeze Church in Huntington Beach, CA.